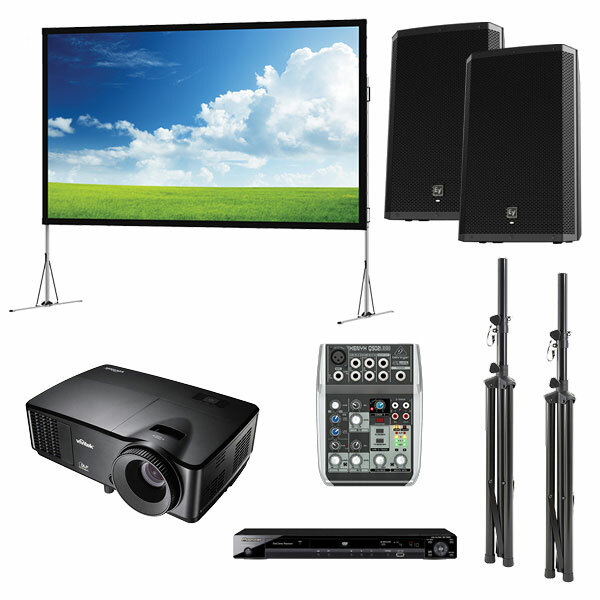 As with all our big screen hire and projector hire options, the sky is the limit when it comes to audio visual rental. Simply make an enquiry or call us on 93856996 to chat about the vision you have for your event. NOTE: A laptop or desktop computer can be used with this outdoor cinema hire system. However, let us know so we can provide the correct connection cables. Also, we can deliver, setup, pack down and collect for you, for a reasonable fee. Just let us know when making your enquiry.